Librarian Little: The Sky is Not Falling!™: Do you have Google Paranoia? Do you have Google Paranoia? 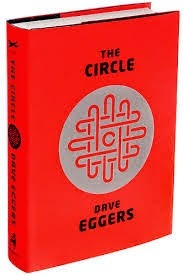 Earlier this school year I read Dave Eggers' book "The Circle". This book was essentially about the inner-workings of a company similar to Google. Later this year, I watched a silly Vince Vaughn comedy about two "older guys" [my age] who decided to compete for a coveted Google Internship. While watching the movie I had several flashbacks to Eggers' book. I have also included a neat informational article about the actual "GooglePlex" and editorial article from the Huffington Post regarding the discussion of Transparency versus Privacy by author Don Tapscott. For fun, I am throwing in something to listen to while you are reading and watching.